Conroy's Flowers Costa Mesa creates beautiful hand-crafted flower arrangements. We create custom designs for every occasion to make your events special. AtConroy's Flowers Costa Mesa , we offer flower delivery in Costa Mesa, CA , all of OC and LA County and the surrounding areas. How to grow gorgeous flowers? We are committed to offering only the finest floral arrangements and gifts in Costa Mesa, CA , backed by service that is friendly and prompt. Because all of our customers are important, our professional staff is dedicated to making your experience a pleasant one. That is why we always go the extra mile to make your floral gift perfect. 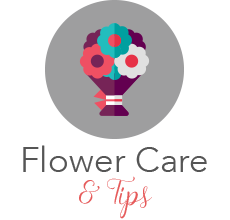 Let us be your first choice for flower(s) delivery. Conroy's Flowers Costa Mesa offers local flower delivery in Costa Mesa, CA . Serving all of OC and LA County With Fresh Flowers everyday. 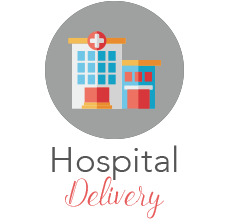 Deliver to all of Funeral homes in OC and LA County. Same day delivery, Roses, Carnations, lilies, Orchids and large selection of cut flowers! Watch it now, then shop our truly original Mother's Day flowers and gifts, starting at just $29.99. Aliso Viejo, Anaheim, Balboa Island, Belmont Shores, Bellflower, Cerritos, Corona del Mar, Cypress, El Toro, Foothill Ranch, Fountain Valley, Fullerton, Garden Grove, Huntington Beach, Irvine, La Palma, Ladera Ranch, Lake Forest, Laguna Beach, Laguna Hills, Laguna Niguel, Laguna Woods, Los Alamitos, Los Angeles, Manhattan Beach, Midway City, Mission Viejo, Newport Beach, Newport Coast, Norwalk, Orange, Rancho Santa Margarita, Rossmoor, Santa Ana, Villa Park, Westminster. We can also wire your floral orders worldwide. 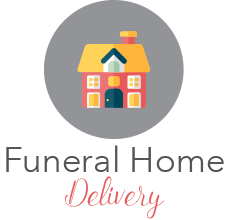 We do SAME DAY DELIVERY AND RUSH DELIVERY to all the funeral home. Serving Funeral Homes, Forest Lawn Cypress, Forest Lawn Long Beach, Rose Hills Whittier, Dilday Brothers Funeral Huntington Beach, Peek Family Colonial Westminster, Advantage Funeral & Cremation Huntington Beach, Abbey Bot Kol Funeral Service Santa Ana, Feneraria Del Angel Pierce Brothers Anaheim, Backs Kaulbars Baggot and Schac Anaheim, Anaheim, Shannon Bryan Mortuary Orange, Brown Colonial Mortuary Santa Ana, Ferrara Colonial Mortuary Orange, O'connor Irvine Mortuary Irvine, Pacific View Memorial Park Corona Del Mar, O'connor Laguna Hills, Harbor Lawn Mount Olive Funeral Home Costa Mesa, Herritage Memorial Funeral Huntington Beach, Westminster Memorial, Fairhaven Memorial Funeral Santa Ana, Mac Dougall Mortuary Funeral Santa Ana, Family Mortuary Funeral Santa Ana, Saddleback Chapel Tustin, Diamond Shannon Mortuary Garden Grove, Naptune Society of OC Costa Mesa.